Today, the Irish American Writers & Artists, Inc. (IAW&A) announced musician Joanie Madden as the nonprofit organization’s 2018 recipient of its prestigious annual Eugene O’Neill Lifetime Achievement Award. Madden will receive the award at a formal ceremony held at the Manhattan Club upstairs at Rosie O’Grady’s (800 7th Ave., New York City) on Monday, November 12, 2018. A consummate musician—performer, composer, recording artist and educator—Joanie Madden is a champion of traditional Irish music. 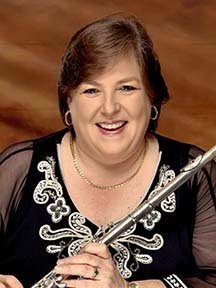 Bronx-born to Irish parents and immersed in trad Irish music early in life, Madden excelled on the concert flute and tin whistle. As a driving force behind Cherish the Ladies, an all-female Irish music and dance troupe, she has performed on Grammy Award-winning albums and in acclaimed documentaries. Madden also produced the PBS/American Public Television special, Cherish the Ladies: An Irish Homecoming. Recipient of numerous awards, including the distinguished Ellis Island Medal of Honor for exemplary service to the United States, Madden will now add IAW&A’s Eugene O’Neill Award to her honors. Founded in 2008, IAW&A aims to highlight and encourage Irish Americans who are active in the arts, with twice-monthly salons and a vibrant community. In ten years, IAW&A has become an important contributor to New York’s Irish-American arts scene. Every year, the organization celebrates the achievements of Irish American writers and artists by bestowing its Eugene O’Neill Lifetime Achievement Award to an individual recognized for exemplary contributions to the arts. Past recipients of the Eugene O’Neill Award include Phil Donahue (2017), Malachy McCourt (2016), Patricia Harty (2015), Pete Hamill (2014), John Patrick Shanley (2013), Judy Collins (2012), Charlotte Moore and Ciarán O’Reilly of the Irish Repertory Theatre (2011), Brian Dennehy (2010), and William Kennedy (2009). The price of $150 per person includes a year’s membership with the organization. Tickets are available now through Eventbrite. MEDIA CONTACT: Irish American Writers & Artists. E-mail IAW&A.